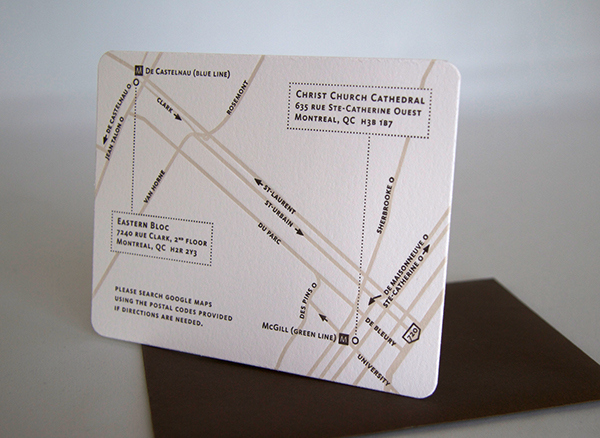 Design and printing of letterpressed wedding invitation, map and RSVP. 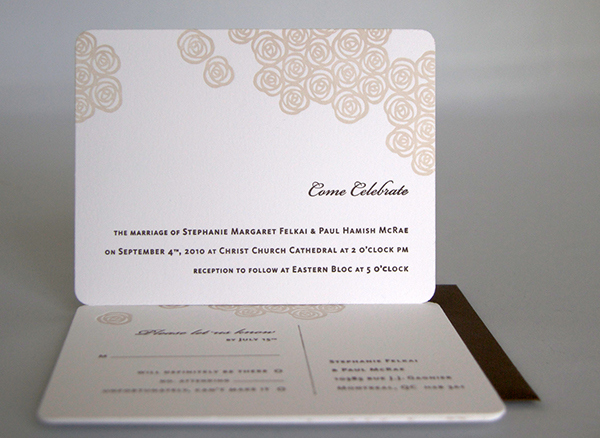 Printed on a Golding Pearl No. 3 press.